This is the Hot Racing Steel 32 Pitch, 54 Tooth Spur Gear in Silver anodize. 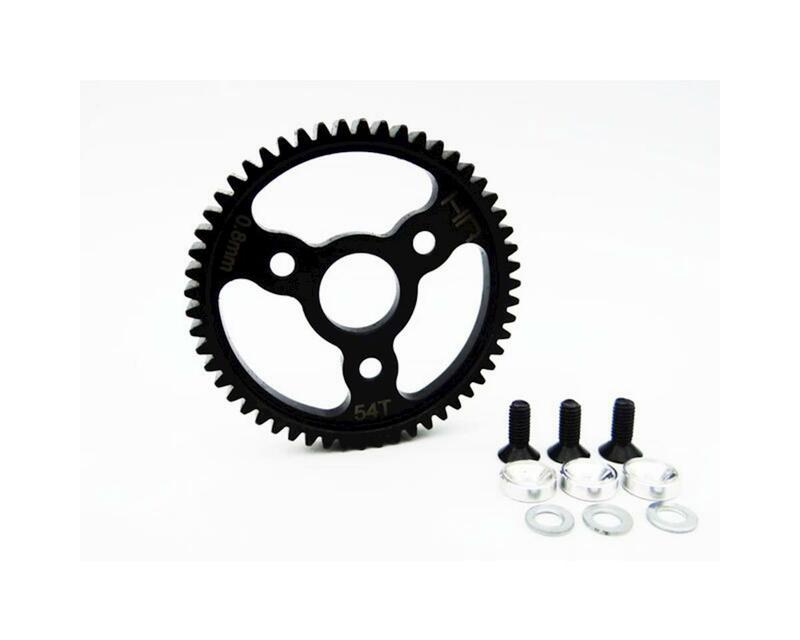 Hot Racing 54 tooth, 32 pitch (0.8 Mod) spur gear for the 1/10 Traxxas E-Revo, Jato 3.3, T-Maxx 3.3, T-Maxx 2.5R, Summit, Rally VXL, Slash 4X4, and Stampede 4X4. Requires a slipper transmission. Will NOT work with vehicle equipped with a center gear differential. Use Hot Racing SSLF2 series gears for vehicles equipped with a center gear differential.